Data source on global Land-Air Temperature: NOAA National Climatic Data Center (links in the menu Calculations / Sources & Links). 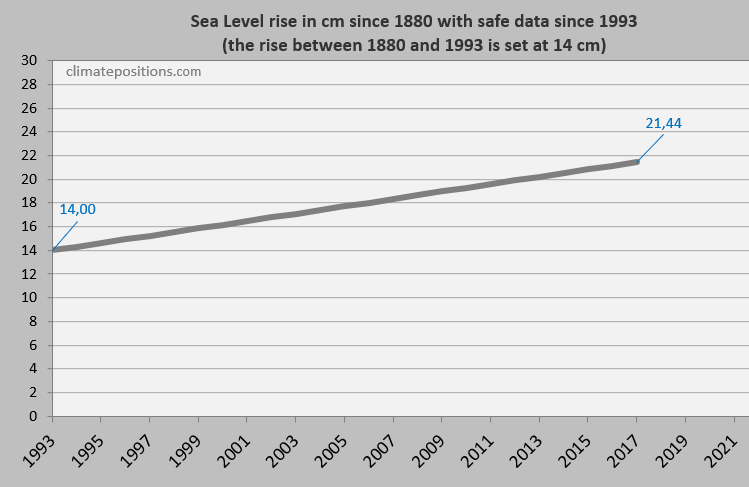 Data on global Sea Level: University of Colorado (links in the menu “Calculations”). 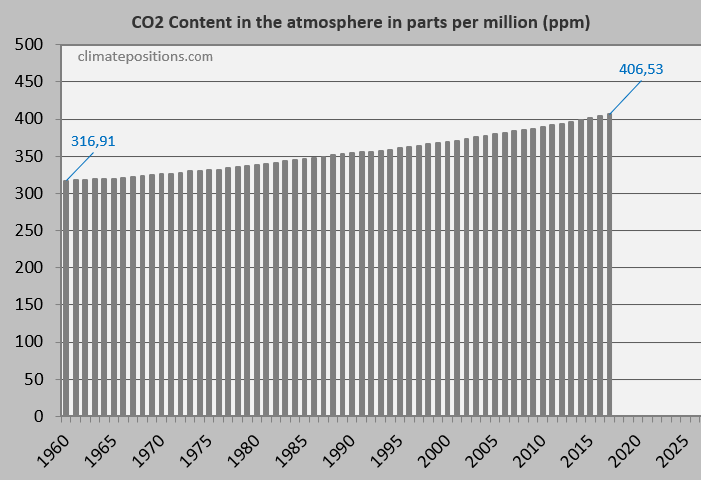 Sources on CO2 in the atmosphere: NOAA Earth System Researth Laboratory (links in the menu “Calculations”). 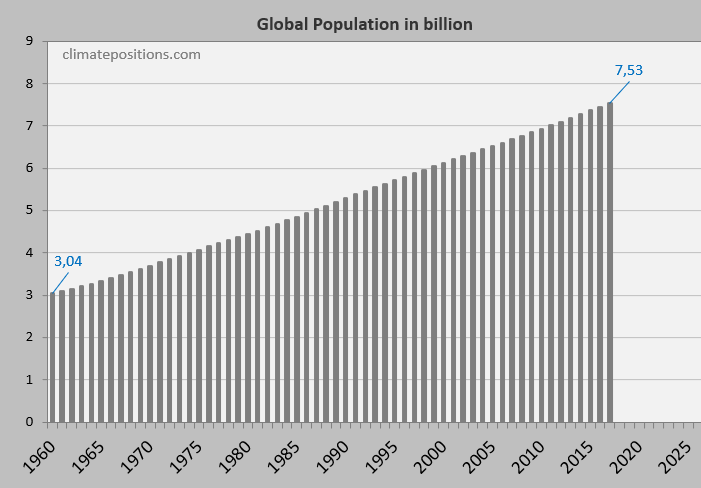 Data on global Population is from Worldbank (links in the menu “Calculations”). 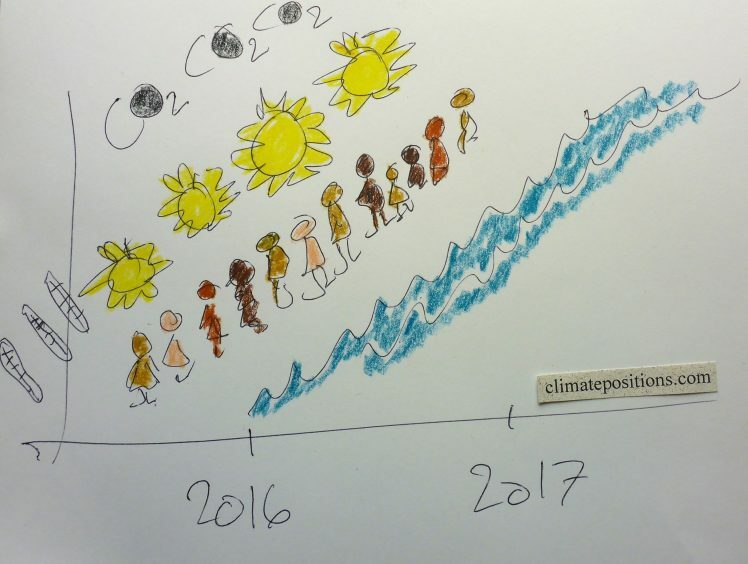 Drawing by L. Granerud, 2018.